Honda in the United States now sells a fastback Accord and an NSX. WHAT YEAR IS IT? I don’t know if there’s been a major midsize fastback for sale in the United States since Geo was still around. I’m shocked that this is what Honda’s going with. The specs are just as much of a throwback as the body style. You can get this thing with a manual transmission. This isn’t some kind of manumatic DSG CVT it’s both BS. This is a real three-pedal transmission. 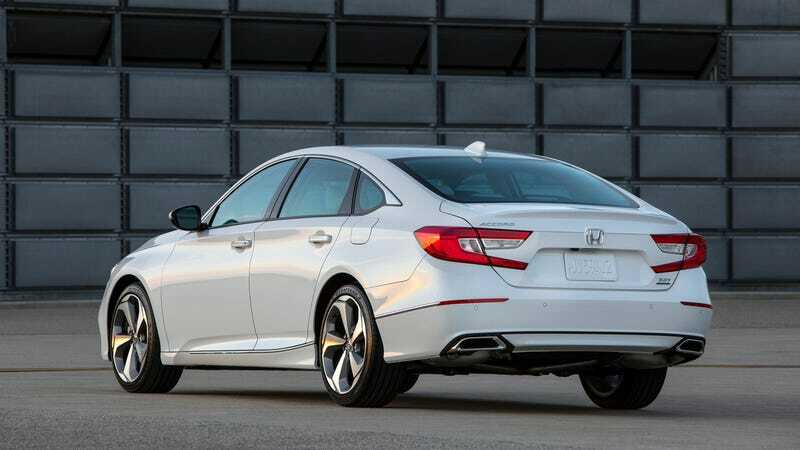 The new Accord fastback (my god what a time to be alive) can be had with a base 1.5-liter turbo four that puts out 192 horsepower and 192 pound-feet of torque. You can get that with a CVT or a six-speed manual. If you need violence and thrills in your Accord, get the 2.0-liter turbo instead. It comes from the Civic Type R and here puts out 252 HP and 273 pound-feet of torque. Again, yes, that CTR engine can be had with a six-speed manual as well. How is this real.